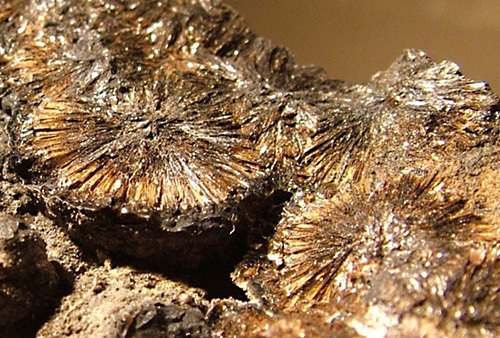 Gonyerite: Mineral information, data and localities. Named in 1955 by Clifford Frondel in honor of Forest A. Gonyer [March 24, 1899 - December 1971 Merry Point, Virginia, USA] chemist in the Mineralogy department, Harvard University. Gonyer named many new mineral species or chemically analyzed them without co-authorship including dakeite, roweite, and salesite. Compare also pennantite, a chemically similar, but Al-bearing, Mn-member of the chlorite group. Rhodochrosite 3 photos of Gonyerite associated with Rhodochrosite on mindat.org. Shigaite 3 photos of Gonyerite associated with Shigaite on mindat.org. 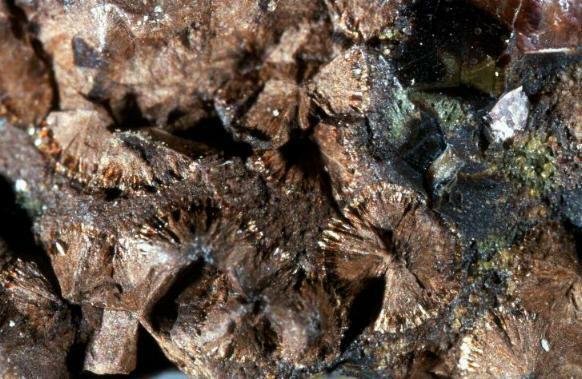 Julgoldite-(Fe2+) 2 photos of Gonyerite associated with Julgoldite-(Fe2+) on mindat.org. Namansilite 2 photos of Gonyerite associated with Namansilite on mindat.org. Braunite 2 photos of Gonyerite associated with Braunite on mindat.org. Actinolite 1 photo of Gonyerite associated with Actinolite on mindat.org. Amer.Min. 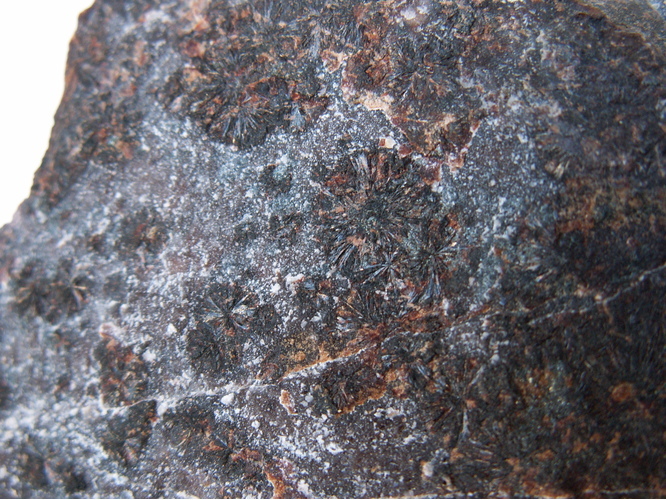 (1955) 40, 1090-1094; Nysten, P., Holtstam, D. and Jonsson, E. (1999) The Långban minerals. In Långban - The mines,their minerals, geology and explorers (D. Holtstam and J. Langhof, eds. ), Swedish Museum of Natural History and Raster Förlag, Stockholm & Chr. Weise Verlag, Munich, pp. 89-183.